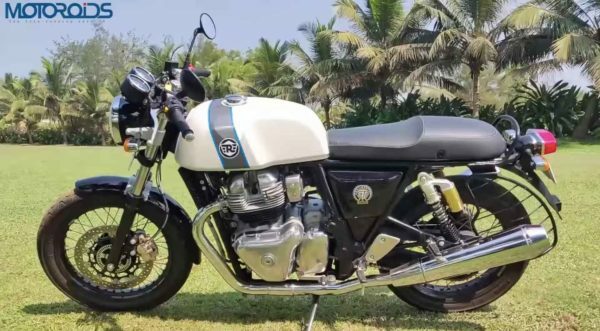 Royal Enfield launched the 650 twins at a very attractive price point. The two offerings, the Continental GT 650 and the Interceptor 650 are called the twins for a reason, they share the same chassis, engine, transmission and other components. The changes are quite subtle which change the way this bike rides but everything else remains pretty much the same. 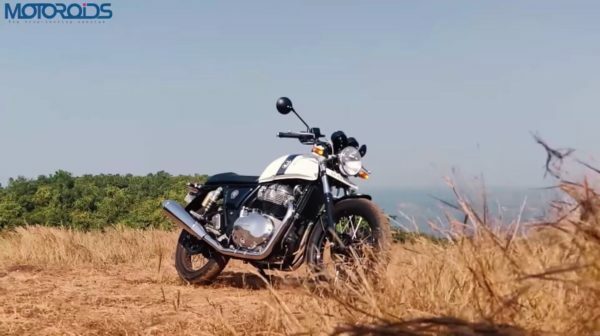 We covered the platform of these bikes in detail in our review of the Interceptor so do watch that before looking at the review of the Continental GT 650. The Continental GT is a more sporty, cafe racer style offering of the Interceptor and here is our review of the bike. In terms of design, the Continental GT gets a much sleeker fuel tank with a more pronounce recess for your legs. While the smaller tank does give you a better riding position, it holds less fuel than the Interceptor, 12.5-litres to be precise. The straighter handlebar is replaced with much sportier clip-on type handlebar. The foot pegs of the rider are offset by a bit and are now a bit rear set. The six-step adjustable rear shock-ups are in the third softest setting as default. Click here to watch our video which covers these differences in much more detail. So what do all these changes translate to? To answer it in a brief manner, the Continental GT 650 offers a much more committed riding position and an even sportier riding appeal. The Continental GT is the bike for you if you want to take fast corners in a retro-styled package at an unbelievable price point. The same 648 cc air-cooled, SOHC, fuel-injected, parallel-twin motor producing out 47 hp at 7,100 rpm and 52 Nm of torque at 4,000 rpm powers the Continental GT. Prices of the standard, custom and chrome variants of the bike are INR 2.65 Lakh, INR 2.72 Lakh and INR 2.85 Lakh respectively. The prices are INR 15,000 more than the respective variant of the Interceptor 650. Do watch the video below, leave a like and hit the subscribe button.